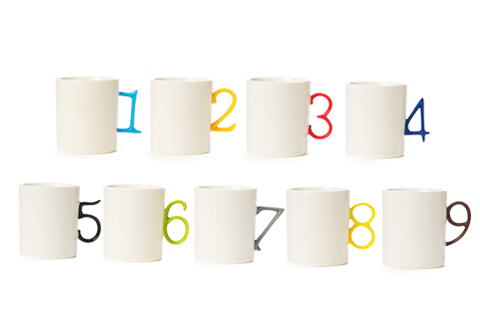 Number Mugs. I am all for #8! Thanks so much Swiss Miss for showcasing the Number Mugs. Why is there no zer0? No Zero, because the piece did not look like a number, it looked just like a plan mug. It would be great if they did a paint-it-yourself series for those of us who are synesthetic. My numbers have definite colors, and they’re not the ones on these mugs! Just bought the #7 for my wife, awesome. I found your blog via Seth Godin and I really dig your eye for design. Thanks and have an awesome weekend!